Workplaces are key loci for expressing and studying organizational identity, even in distributed work. In organization studies, there is a growing recognition of the importance of spatial processes, and workplace design has become an instrument for organizational change. This chapter explores organizational identity through a change process where the office layout was redesigned to strengthen organizational identity and increase productivity. The study shows that identity processes get shaped by the material environment and by technologies enabling distributed and mobile work. It also shows that previous events frame the interpretation of current processes. The chapter is based on a qualitative and quantitative study of the national branch of an international oil company. The goal of this chapter is to strengthen the understanding of workplaces as key loci for expressing and studying organizational processes, even in distributed and “location-independent” work. A starting point for this chapter is the observation that there has been a change of focus in organization studies, where place has strengthened its explanatory role in discourses of organizational processes during the past decade. 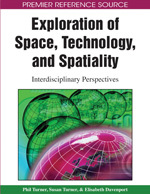 The interest in organizational space and place is expressed in the growing interest in workplace design as a source for understanding and shaping organizational processes, and the incorporation of spatiality and corporeality in social science studies (cf. Benko & Strohmayer, 1997; Bourdieu, 2000). The argument is substantiated through a qualitative and quantitative study of the national branch of an international oil company. This case study explored identity processes where workplace design and technologies entered the discourses on organizational identity and other organizational processes. The interest in space planning and placemaking is a practical concern in enterprises, of which the growing number of handbooks and consultancy offers is an indication (cf. Duffy, 1997). The case company informing this chapter was about to go through a process of workplace restructuring when the authors were contacted in order to make a study. Through the case study, it turned out that in addition to the current changes, a previous restructuring made more than 10 years ago was still seen as an important event in the corporate history, and an issue for discussions about organizational identity. This interest in place, space, and spatiality may be seen as a puzzle, since it emerged in the aftermath of the “digital revolution,” where information and communication technologies (ICT) were seen to supersede a number of traditional social categories, promising an annihilation of the role of locality and distance, whereby a friction-free society will be achieved. This perspective is expressed in a series of titles in popular writing, such as The death of distance, The weightless economy, and The digital nomad (Cairncross, 1997; Coyle, 1998; Makimoto & Manners, 1997), and is also found in the emergent literature on the networked society (cf. Castells, 1996). In the area of workplace studies, one can find similar expressions: In a pioneering study of teleworking, it was argued that: “The office – the site where information is generated, processed and exchanged – has ceased to have any fixed geographical boundaries. It exists only as a network – the ‘elusive office’ has arrived” (Huws, Korte, & Robinson, 1990: 220). Nevertheless, companies are still interested in architecture and space solutions, and workplace policies seem to uphold the importance of “coming to work” in a literal sense, although workplace practices have become more complex than the choice between the main office and the home-based workplace, as depicted in the early telework studies. This development makes it even more important to address the role of place for mobile, flexible, and “location-independent” work. [M]ost of the research and analysis published in the arena of organizational theories and management studies describe the following, somewhat bizarre phenomenon: as soon as the human person crosses virtual or physical threshold of an organization, s/he is purged of corporeality, so only his or her mind remains (Strati, 1999, p. 3).